APC does not know the health status of Buhari – Spokesperson – Royal Times of Nigeria. Spokesperson of the ruling All Progressives Congress, APC, Bolaji Abdullahi has said he is not privy with information to the health situation of President Muhammadu Buhari. In an interview with Channels TV, Abdullahi said that the party was also ignorant of the president’s well-being. “I am not a government official and I am not a member of his family, so I wasn’t in a position to know. Those who should know would know,’’ . Buhari had left Nigeria for medical treatment in the UK on May 7, after making a similar trip earlier. 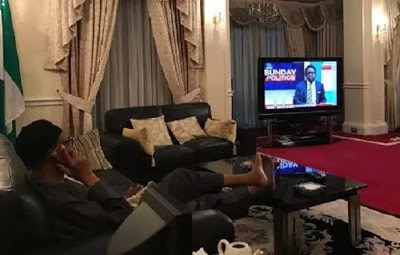 His wife, Aisha Buhari had visited him in London but there were reports that she was not allowed to see him.